Stepanova smartly programs the album as she would a concert." "A feast for those that savor the fleet fingered ... Not just running the scales for playing fast to show she can, the set card mixes classics with modern classics in way she makes all her own. You don't even have to be a classical fan to love it." "an unusual and creative approach ... It’s a skillfully assembled repertoire list and beautifully played throughout.... Stepanova is one to follow in the piano world." "A varied disc with extensive programme notes and elegant playing from Liza Stepanova, who explores the intersection of art and music." "[Stepanova] plays what sounds like fingerbreakingly difficult music with both ease and expressiveness." a striking mix of music that’s familiar and not ... Throughout, Stepanova plays with lots of character and color.... the larger impact her recording leaves is compelling. A fine disc, then, well-planned and -executed." "Similar to Mussorgsky’s musical tour through a museum, pianist Liza Stepanova’s new album is a multimedia adventure." 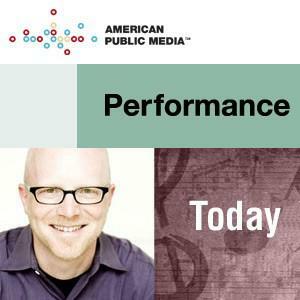 "pairs evocative pieces of music with rich examples of visual art"
Performance Today, the most listened-to daily classical music radio program in the United States, has featured excerpts from Tones & Colors on three separate broadcasts so far. Tones & Colors has enjoyed broad coverage in national and international press. Browse a few more features in WCRB Boston, WFMT Chicago, The Whole Note (Canada), and Essex Life (UK).